the seat and held it through the election of 2016, when court-ordered redistricting again changed the district's contours. It was won in 2016 by Ted Budd with 56% of the vote. We assume, after all the court action of recent months, that Budd's district remains basically the same one he won in 2016: It includes parts of Greensboro as well as High Point and Statesville. His district offices are in Advance (his home town) and Mooresville. First-term congressmen of either party usually attract hungry predators looking to pick off the young, and the DCCC (Democratic Congressional Campaign Committee) had targeted Budd even before he got the first splinter from his seat. Budd is 46. He was born in Winston-Salem but mainly grew up on a farm in Davie County. According to Taft Wireback, "he hails from a wealthy family that built its fortune in the janitorial and landscaping business." He attended and graduated from AppState. He owns a gun store and a shooting range and likes to pose with big hardware. As soon as he got to Capitol Hill, he joined the Freedom Caucus, and his votes have reflected those extreme conservative positions. He was an avid supporter of ending Obamacare, and he's a proponent of home-schooling. April 2017 in Greensboro. She was the first woman to chair the board of the Jewish Federations of North America. “I’m a business-oriented moderate who believes we need to do whatever we can to provide affordable health care and the good education that will get people prepared for the jobs of the future,” said Manning, 60, who worked for years as an immigration lawyer but no longer is in practice. Manning has criticized Budd for his support of the newly enacted Republican tax bill because of provisions that "she said would help the wealthy and big corporations, but hurt the average person in such ways as denying teachers the ability to deduct the cost of school supplies they buy for the classroom. She also criticized his support for letting banks charge retailers higher 'swipe' fees when customers use credit or debit cards." Manning is married to Greensboro businessman Randall Kaplan, who owns Elm Street Center downtown and is planning to build a major hotel on the site. The couple has three grown children. Budd has been quick to call her "Nancy Pelosi’s hand-picked candidate" and a "far-left" woman (gasp!) pushing a "hard-core liberal agenda." Blah blah blah. 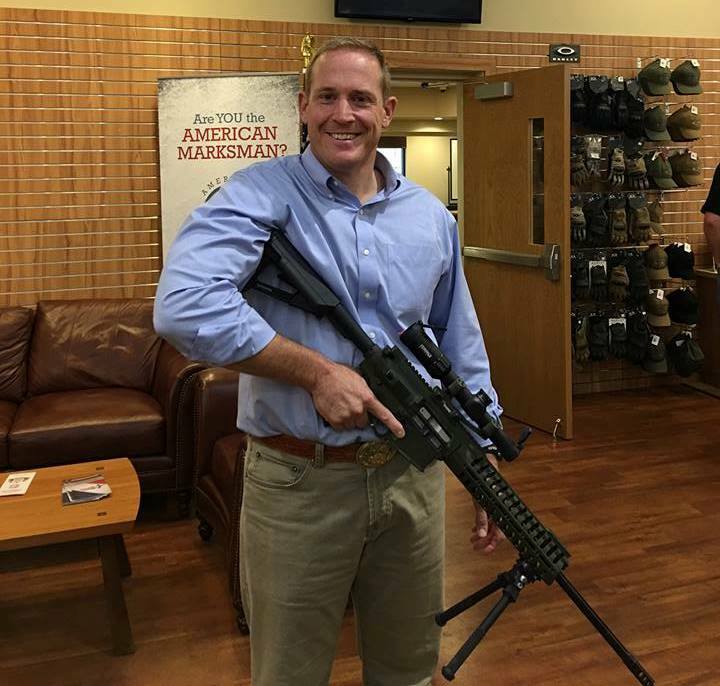 With a campaign like that, Budd may find that energizing the base in 2018 is a harder lift, especially with an assault rifle in your hand.